Advanced Surgical Solutions has been in the forefront of the research, development and practice of new yet effective surgical operations. At the forefront of surgical research and development, our surgeons are skilled in the latest techniques and procedures. In addition to performing general surgery, our best-in-class surgeons specialize in bariatric surgery, hernia repair, colon surgery, gallbladder surgery, sleeve gastrectomy, solid organ surgery and reflux surgery. At Advanced Surgical Solutions, we are passionate about giving you the best possible care the minute you walk in the door. From the receptionist who greets you to the medical team who diagnoses and treats you, we believe that a strong partnership between you and our professionals is a critical component in your medical treatment. As a top-notch surgical center, we take pride in our accomplished surgeons. But before surgery is even considered, the patient must have a complete exam and an accurate diagnosis. No two patients are the same. Our doctors are thorough and will invest the time it takes to diagnose your medical issue and recommend the best treatment for you, taking into consideration your specific medical needs, goals and expectations. Successful surgical outcomes require a team of dedicated professionals. Our doctors, nurses, nutritionists and assistants are among the best. We also understand the important role of the office staff. Our professional and friendly office staff members will treat you with respect and will be there for you every step of the way. If you have been experiencing any unusual symptoms that need to be checked out or are considering weight loss surgery, give us a call to schedule an appointment. Such a sweet doctor, funny, kind, honest. I went in asking about laparoscopic surgery and dr. Kashani totally educated me on the process and and what to expect afterwards. Totally recommend him! Dr. Kashani is one of those rare professionals who really cares for his patients and his good professional name, meaning that he will not offer to do a surgical procedure unless really necessary. I recommend and if I ever need another surgery, would definitely trust him again. I was referred to Dr Kashani By another Dr when I asked who he would use if he had to have a surgery like mine. It is about one month from that time the surgery is done and I feel great. He explained the process to me and the possible complications. There eneded up being three hernias and he took care of them all. I feel geat and am happy with the results. 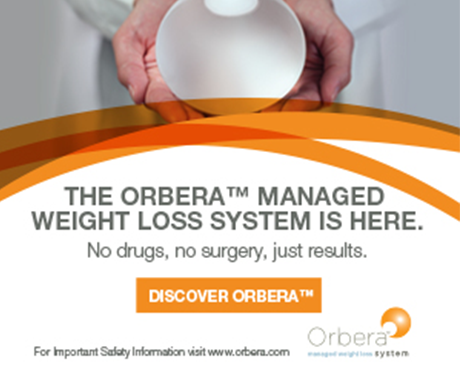 To learn more about ORBERA™ gastric balloon procedures, please click here. In addition to performing general surgery, our best-in-class surgeons specialize in bariatric surgery, hernia repair, colon surgery, gallbladder surgery, sleeve gastrectomy, solid organ surgery and reflux surgery.